"Superb Experience in moving to Office 365. Unbelievable functional coordination and interconnectedness. Thanks to the CloudFronts team"
Office 365 allows you to reimagine the way you do business. 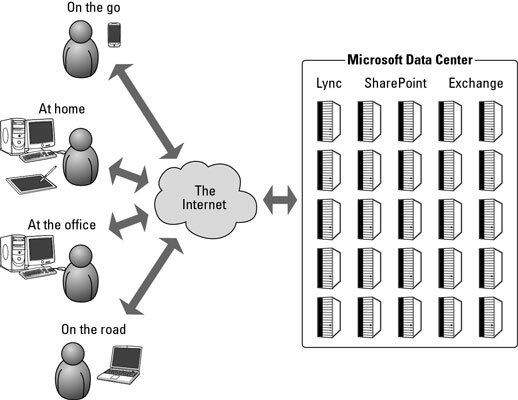 It not only allows you to Store, sync and share your files but also helps you take Your Office instantly, wherever you go. Running effective meeting with skype for business and managing secured content with SharePoint collaboration and enterprise social collaboration with Teams adds new dimension to the you work. The Delve analytics for user’s own productivity help them align their personal and professional time utilization goals. The emails and calendars are on the go where ever you go on every device you have access to. From home to business, from desktop to web and the devices in between, Office 2016 delivers the tools you need to get the work done, and you can get it with an Office 365 subscription. With a Microsoft Office 365 subscription you can keep your apps up-to-date and use them across devices. We don't believe in a 'one size fits all' approach. Instead, you choose our level of involvement, and we'll help you deliver, at any stage of your project. Whether that's a little advice and hand-holding in the early stages, or managing your deployment or migration from start to finish. Our team of Office 365 consultants have been there and done it, so we appreciate it's not always plain sailing, and even the best laid plans can and often do change. Skype for Business in-app integration Chat, share screens and have audio or video conversations with your colleagues. And you don’t even have to leave the application you’re working in! Even when you do close the application, you can continue the conversation via Skype on your desktop or phone, and keep talking to the team as they edit. Real-Time Co-Authoring (Word, Excel, PowerPoint) Collaborate online and see each other’s changes as they happen with real-time coauthoring in Word. Save your file to OneDrive or SharePoint so others can work on it with you. You can share it directly from the application, thanks to the integrated sidebar. Power Map in Excel: Turn data into a map Power Map is part of the powerful and interactive data visualization features in Excel, which are enhanced with Power BI, the solution for analyzing, visualizing and sharing data insights. You can turn rows of data into a 3D interactive map with Power Map, which includes the ability to filter data using three different filters: List, Range, or Advanced. Turn OneNote items into Outlook calendar events Convert notes to tasks inside your calendar and assign them to colleagues with reminders and deadlines. Send meeting minutes taken in OneNote by email and automatically add details (date, location, attendees,…) for each meeting they’re related to. 50GB of email storage Each user gets 50GB of storage with Exchange Online for email, calendar, tasks, notes, contacts and attachments. You can save more space in your mailbox by using the OneDrive cloud storage to share attachments. Retrieving the right version of a document Version control has been improved with Office 2016 co-authoring. You can see which changes were made, by whom and when. You can also revert back to a previous version of the file if necessary. Work offline and upload changes later Your OneDrive storage is synced to your device, so you can choose to work offline on files. As soon as you reconnect to Internet, the new versions will be automatically uploaded to your storage. The new version will also be sent to any other connected device. Work anywhere from any device You get the Office Web Apps with your Office 365 subscription, so you can work on your cloud files from any up-to-date Web browser on an Internet-connected computer. You don’t have to install the Office software on the computer. Security and Compliance Office 365 takes security and compliance to the next level by helping you control data security and lower compliance costs and risks. Built-in Security & Compliance center in Office 365 provides you Data protection, Compliance solutions and Threat protection. Check out how Office 365 migration benefited hugely to Sonee Sports. All features of Office 365 Enterprise E1 with Office applications plus security and compliance tools, such as legal hold, data loss prevention, and more. All features of Office 365 Enterprise E3 plus advanced security, analytics, and voice capabilities. All features of Office 365 Enterprise E1 with Office applications plus security and compliance tools.